Mockup templates are one of the best ways to showcase your creative work. They help you to present your work in an eye-catching and beautiful way, ensuring your designs always stand out from the crowd. Simply drag, drop, update with your own custom designs, and you have beautiful looking presentations in seconds! 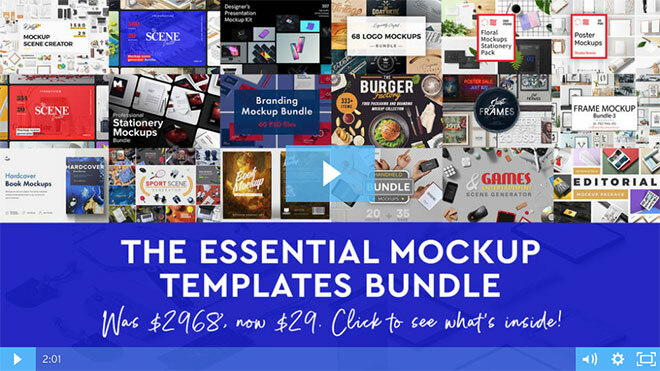 This new Essential Mockup Templates Bundle provides you with thousands of professionally crafted mockup templates and scene creators at your fingertips, discounted by a whopping 99% to reduce the $2968 regular price to just $29! 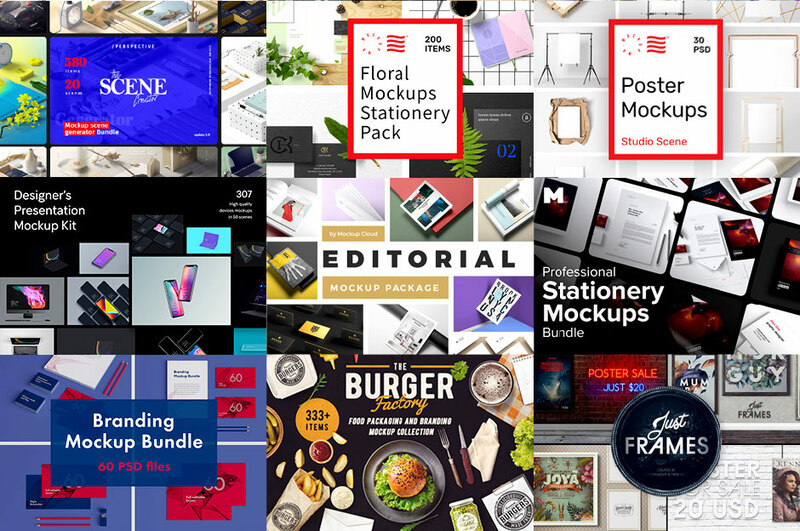 This bundle contains literally 1000s of essential mockup templates and scene creator items. The variety is incredible, so it should cover you for all of your projects! You’ll find a multitude of stationery/branding items, frames, books, tech/screens, posters, presentation kits, food items… the list goes on! You also have access to meticulous scene creators allowing you to simply drag and drop beautiful imagery into your projects. This 99% deal is a limited time offer, so be sure to grab the bundle while you can. The value of this collection is incredible, and what’s more, all the items are covered by an Extended License, so you’re safe to use the tools in your commercial and client projects. Using these mockup templates to present your design concepts to clients, or to showcase past projects in your portfolio gives your work the extra wow factor that will take your design career to the next level!